Morning lovelies! 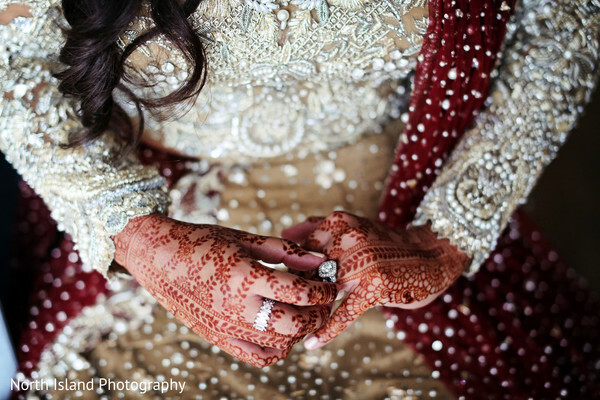 Every bride dreams of sealing the deal with her Prince Charming in a timeless fairy-tale wedding. 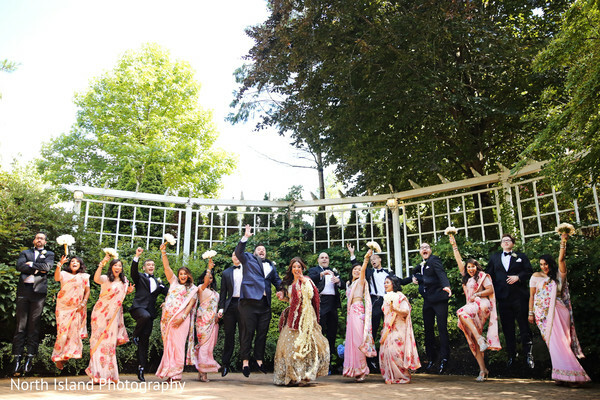 Maharani Joycelynn and her Raja Joseph definitely achieved this; their matrimonial celebrations epitomized the picture perfect soiree filled to the brim with rose petals and romantic sparkle. 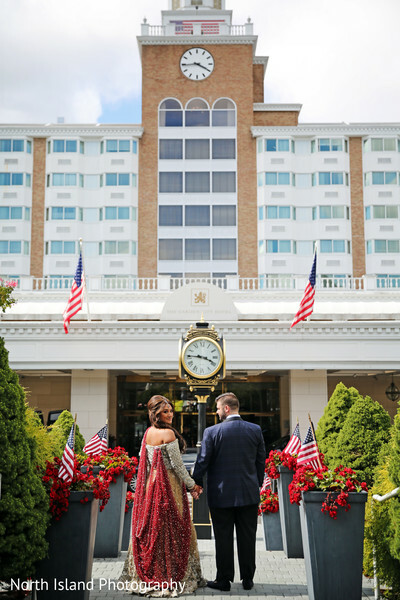 The party planning began with the organizational dream team from Touch of Elegance Event Planners and floral and decor visionaries from Stylish Events. 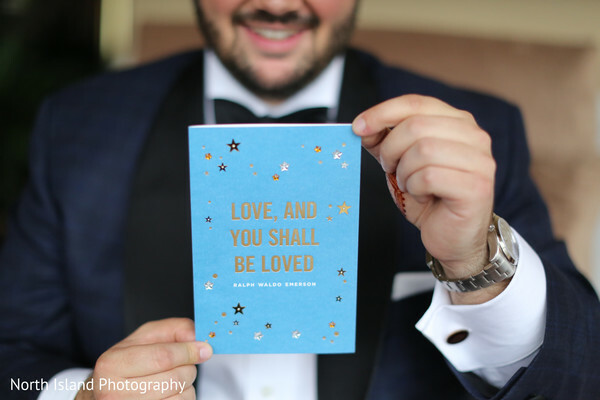 We’ll share all the fantastical decor and design elements in our next post which will cover all the ceremony and reception action! 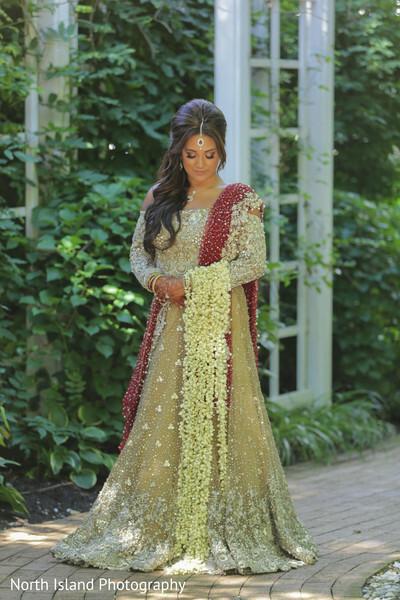 To prepare for the most important walk of her life, the bride donned a dazzling cream and burgundy lengha accessorized with diamond and ruby jewelry. 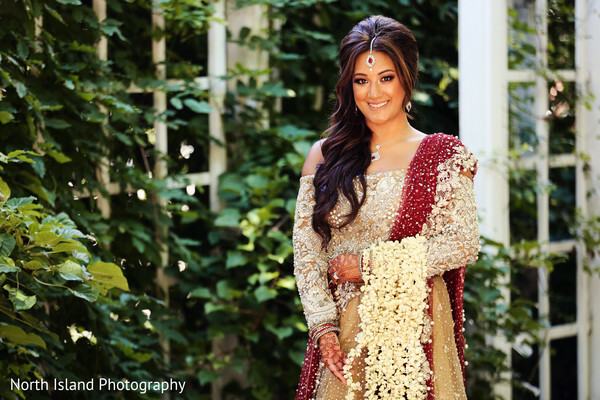 Joycelynn brought in talented makeup and hair artists Jenna Pytel & Veronica Arbanil who transformed this Maharani’s natural beauty into a bombshell look. 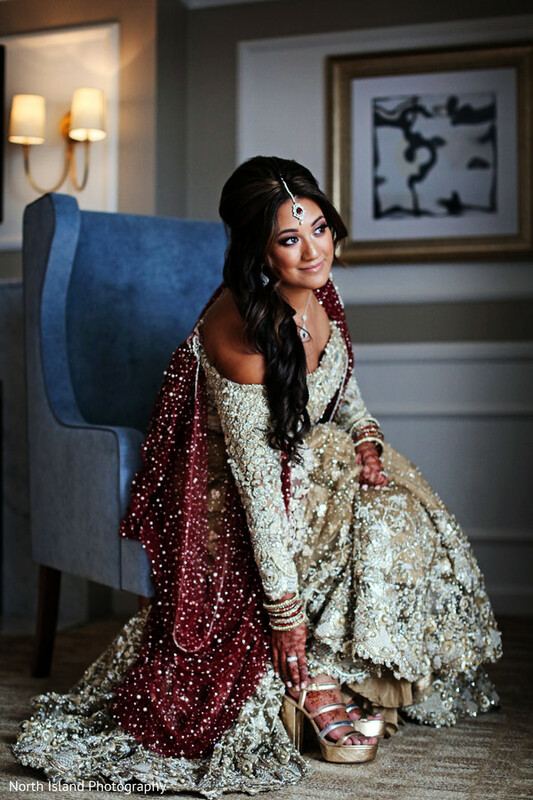 After every pin was in place and all the pleats of Joycelynn’s lengha moved effortlessly, she was ready to reunite with her beau for an emotional first look on the grounds of the Garden City Hotel. 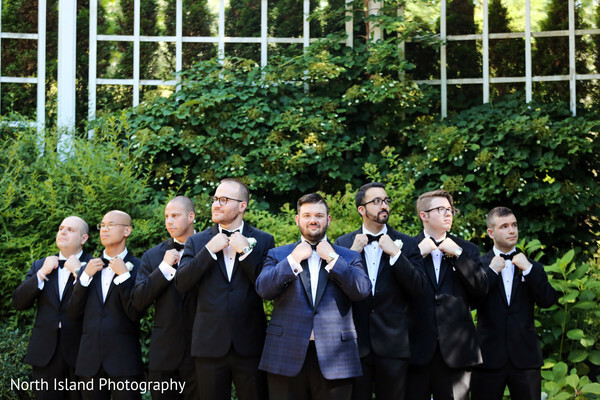 Joseph awaited his bride while looking dapper in a tailored tux. 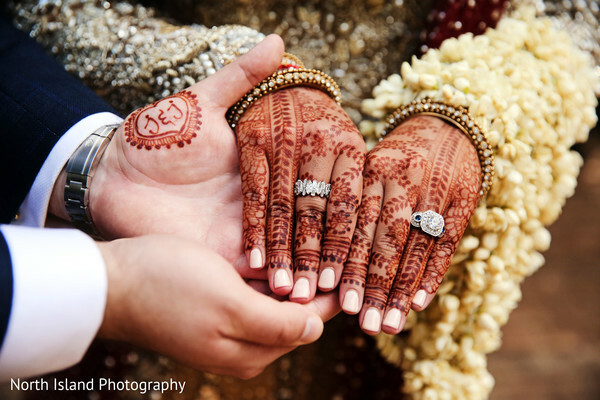 North Island Photography captured all the memorable moments in the stills that you can find in our full gallery. All the ceremony and reception action coming right up!